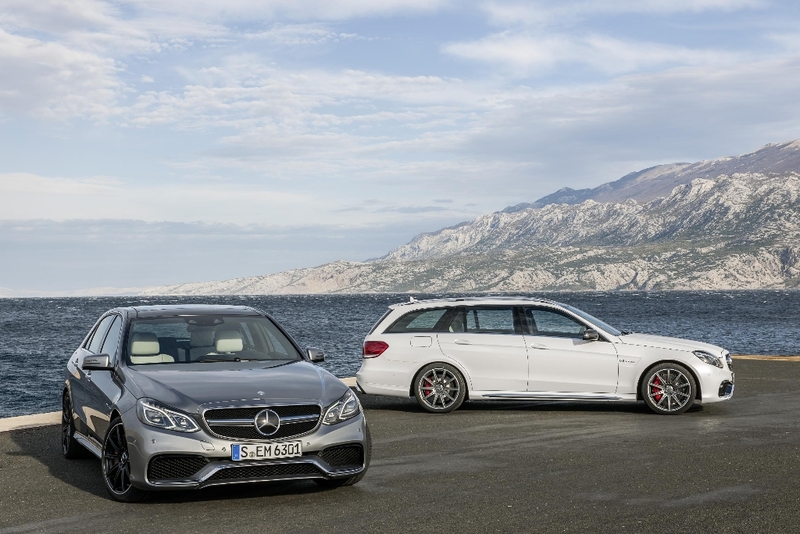 The introduction of the E63 AMG Sedan and Wagon continues to herald Mercedes-Benz’s offensive attack on the premium high-performance passenger car sector, more especially when you consider the introduction of such models as the SL63 as well as the C63 AMG over the last couple of months. 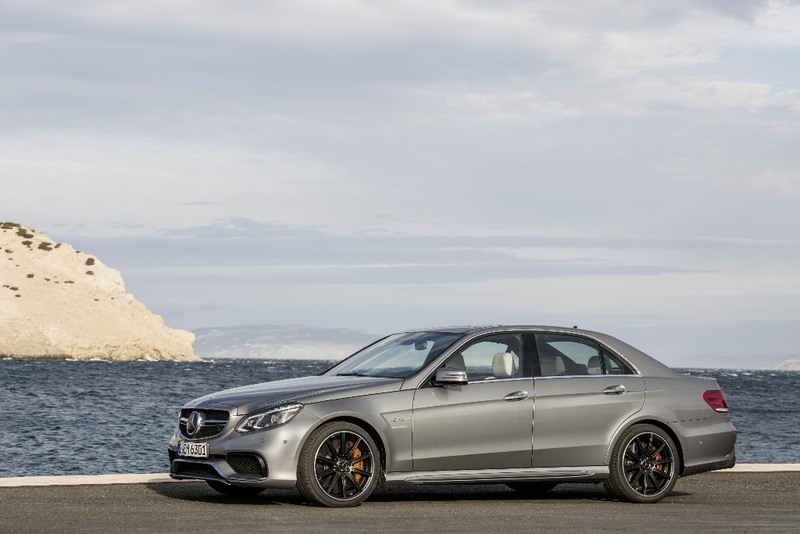 What’s even more exciting is that we can still look forward to the introduction of the A45 AMG as well as the CLA45 AMG. 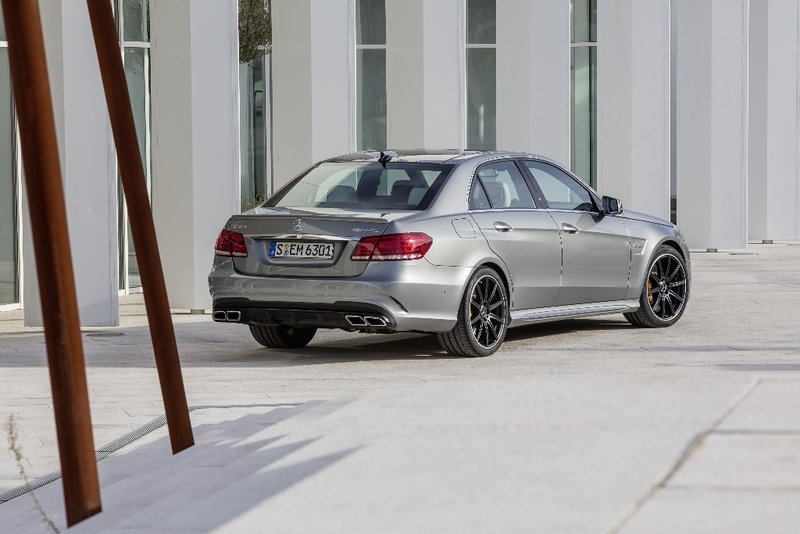 The E63 looks impressive. 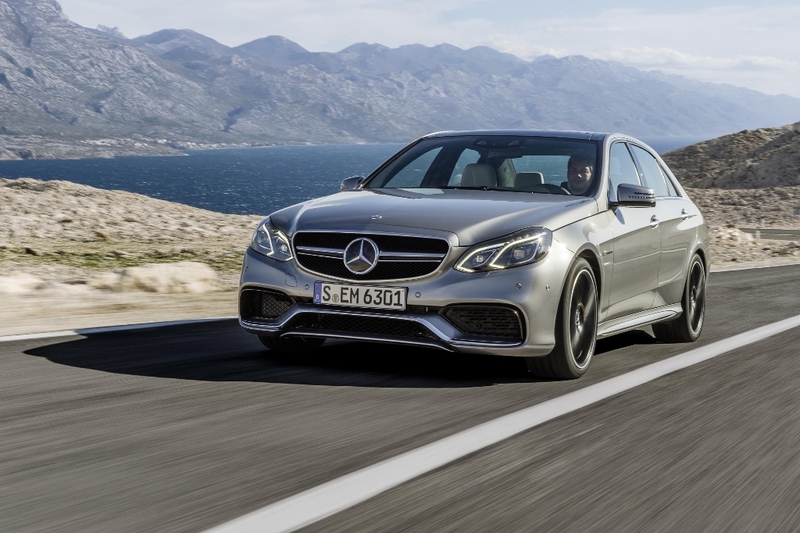 I have to honestly say that I have never really been a big fan of the E-Class or the S-Class, or perhaps more the look than the actual technical wizardry that goes into the creation of these vehicles. 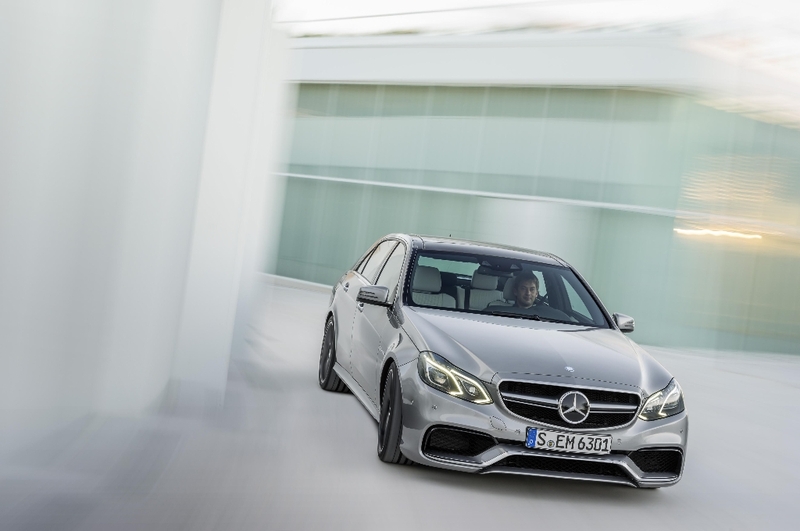 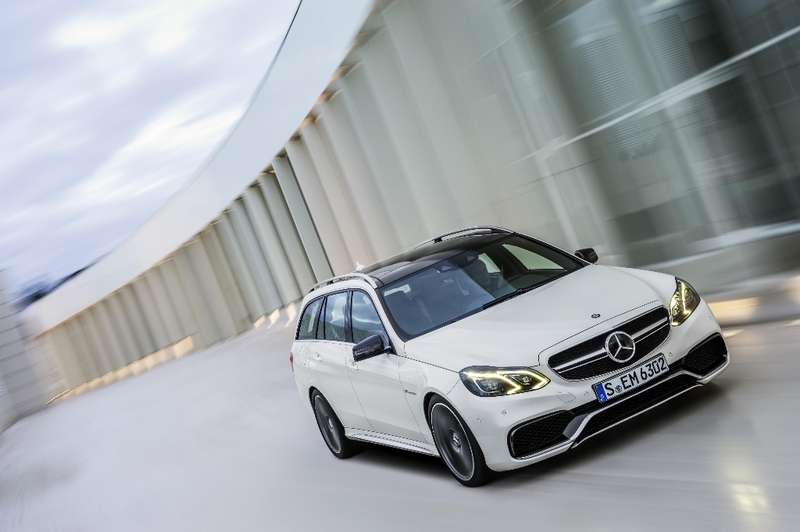 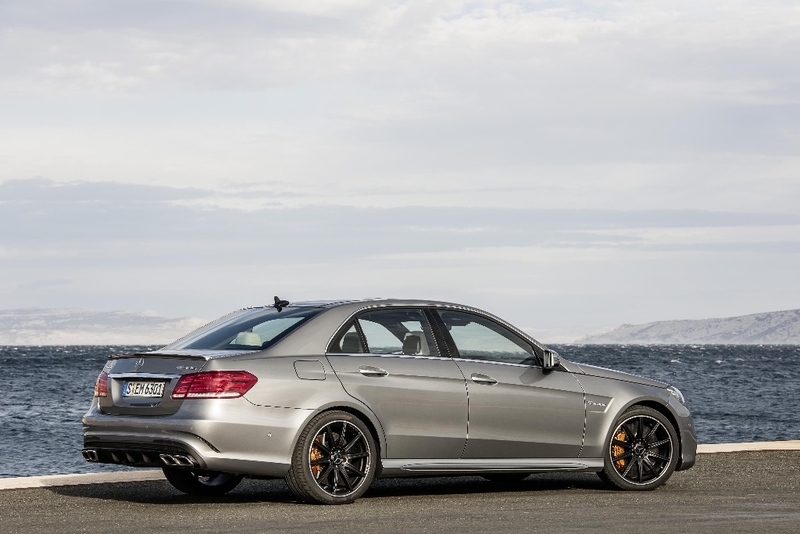 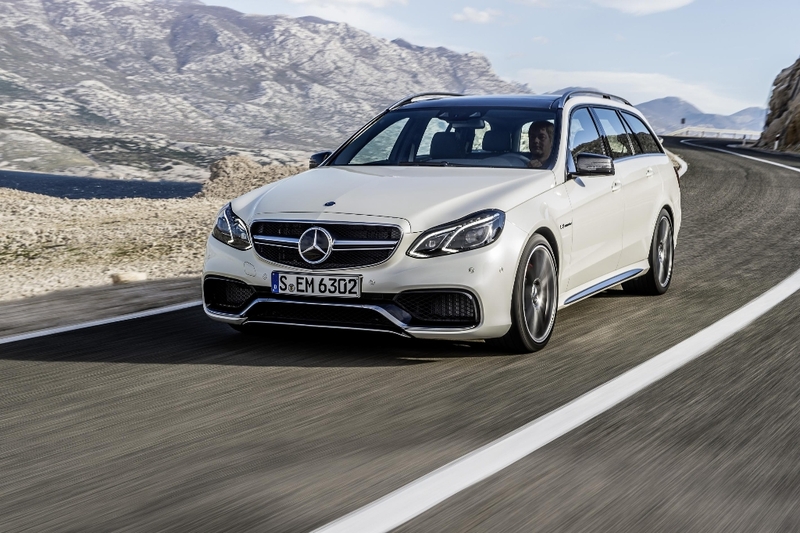 The European market launch of the new E 63 AMG with rear-wheel drive will begin in April 2013, with the all-wheel-drive E 63 AMG and the E 63 AMG S-Model following in June. 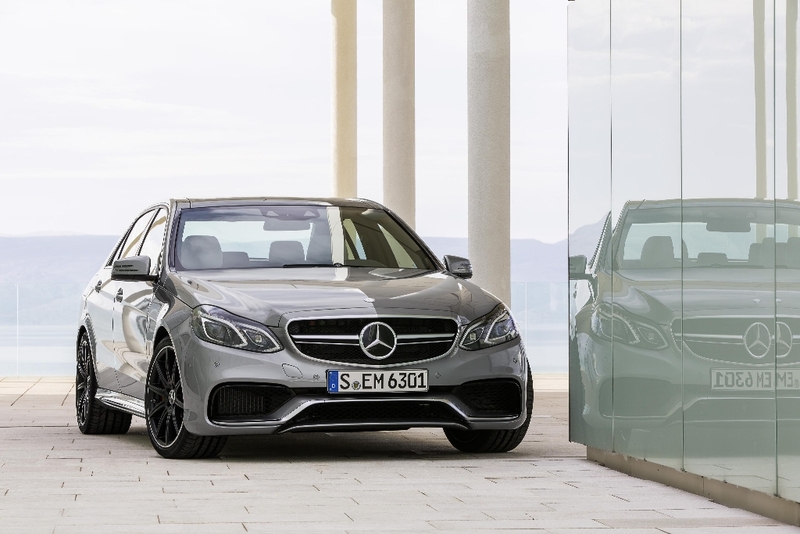 The new E63 AMG presents a more powerful character and a more dynamic appearance than all its predecessors: the new AMG design philosophy is immediately apparent at first glance, with the new “twin blade” radiator grille and the new “A-wing” in the AMG front apron defining the exclusive look. 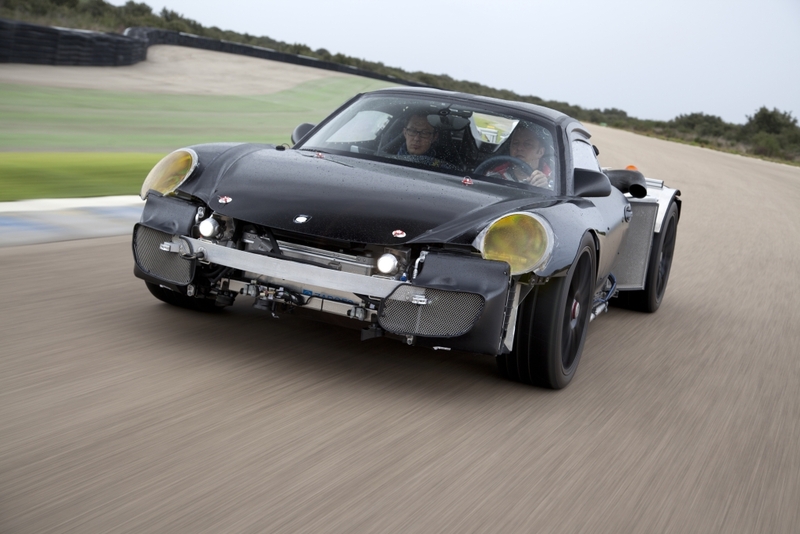 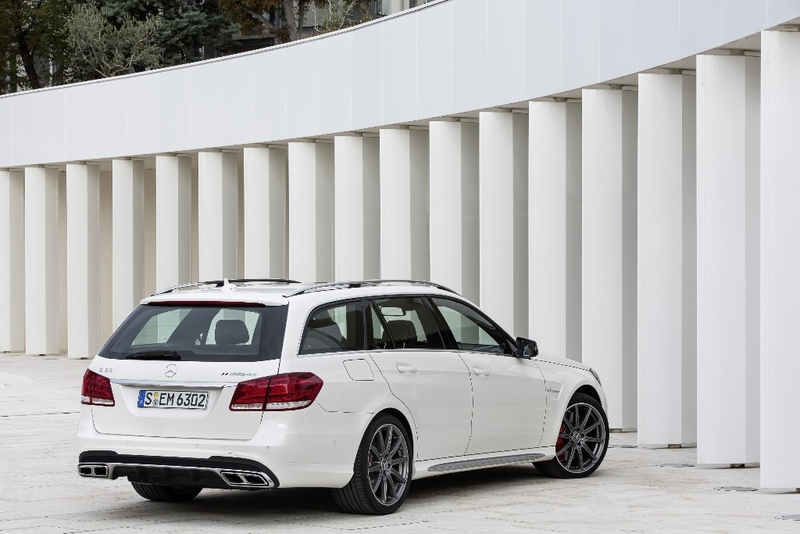 The “A-Wing” also provides the back drp for three large cooling air intake opening. 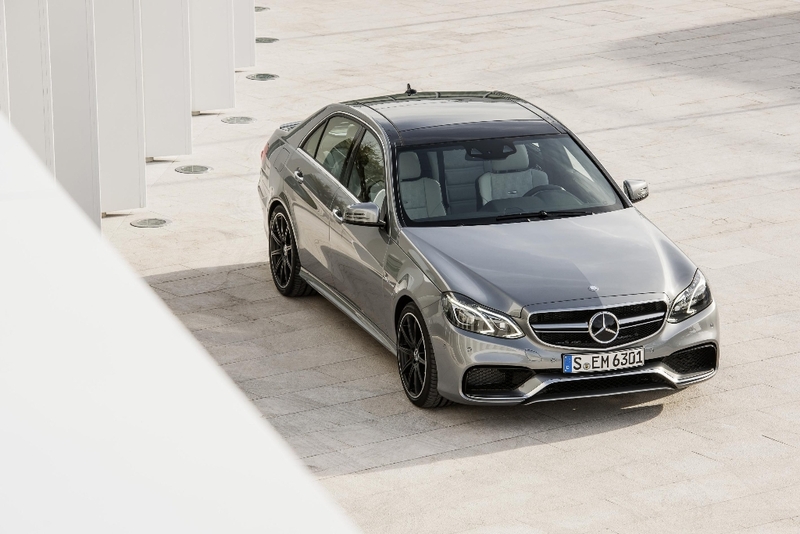 On the side The striking air outlet openings at the sides, the black grille and the two sets of twin chrome tailpipes belonging to the AMG sports exhaust system provide an impression of width at the rear. 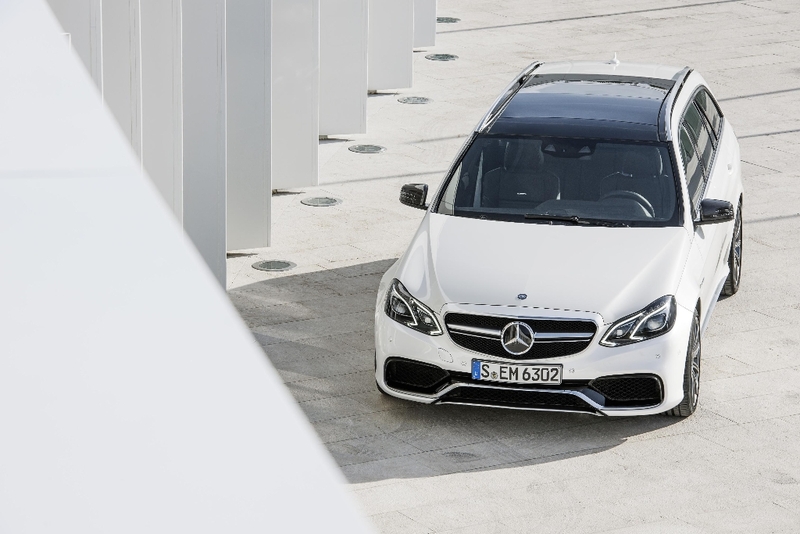 The black diffusor insert with pronounced fins lends the E 63 AMG a powerful touch of race track atmosphere at the rear. 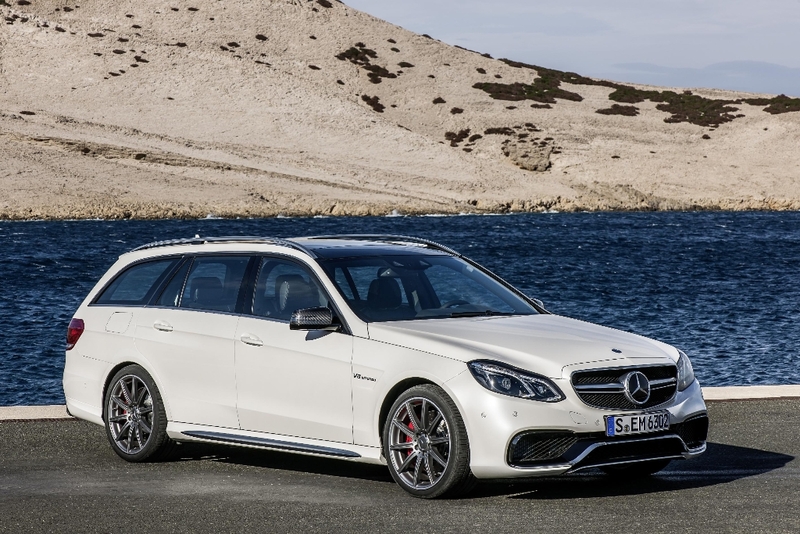 The interior is also as impressive as the interior with superior quality materials being used and perfected by excellent workmanship. 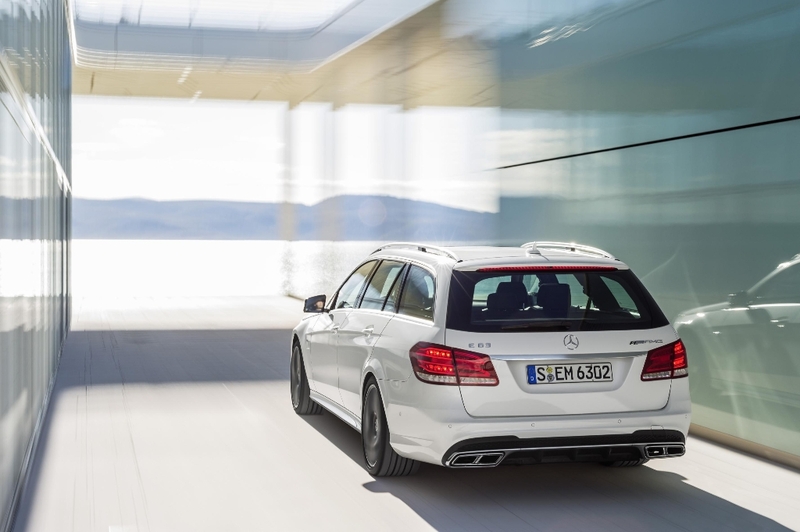 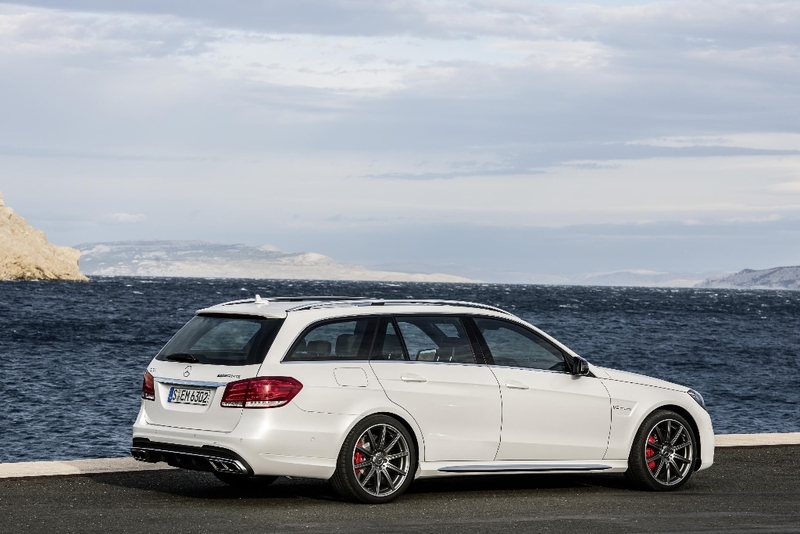 The 5.5 litre V8 that is housed underneath the bonnet of the E63 AMG S-model, introduced both in the form of the sedan and wagon, churns out an impressive 430kW of power and a 800Nm of torque and features the newly developed AMG 4-MATIC all-wheel-drive system. 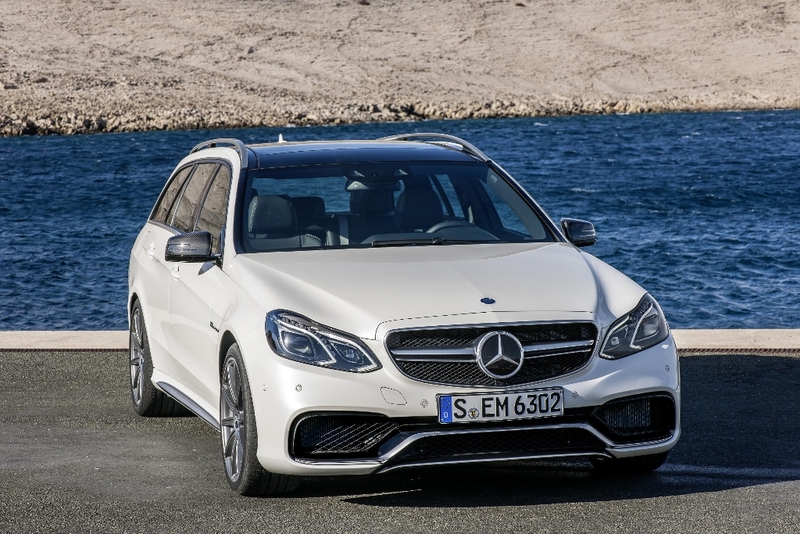 The more standard E63 AMG churns out an equally impressive 410kW and 720Nm of torque and will also be available with the 4-MATIC transmission as an option. 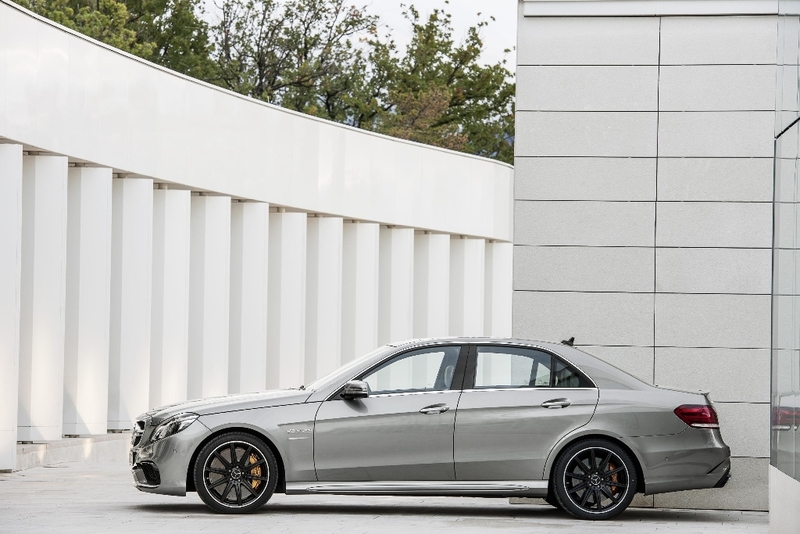 Acceleration to 100 km/h from a standing start in 3.6 seconds provides the E63 AMG S-Model with the top speed electronically limited to 250 km/h. 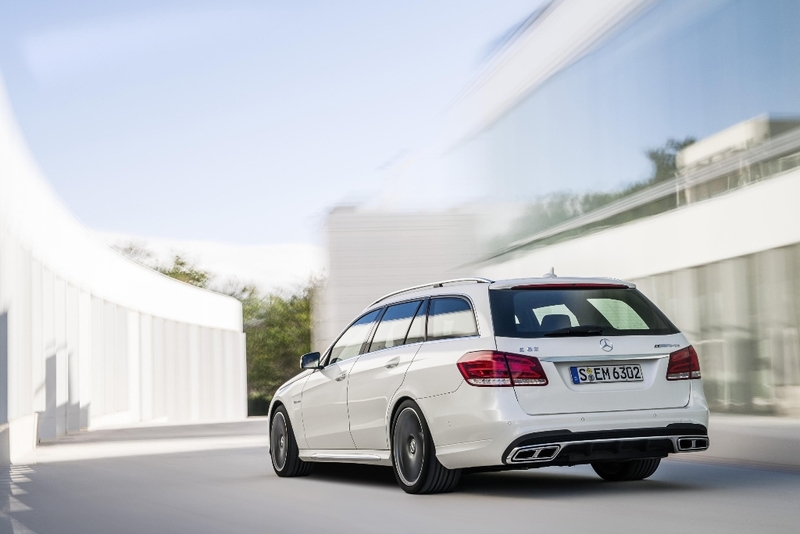 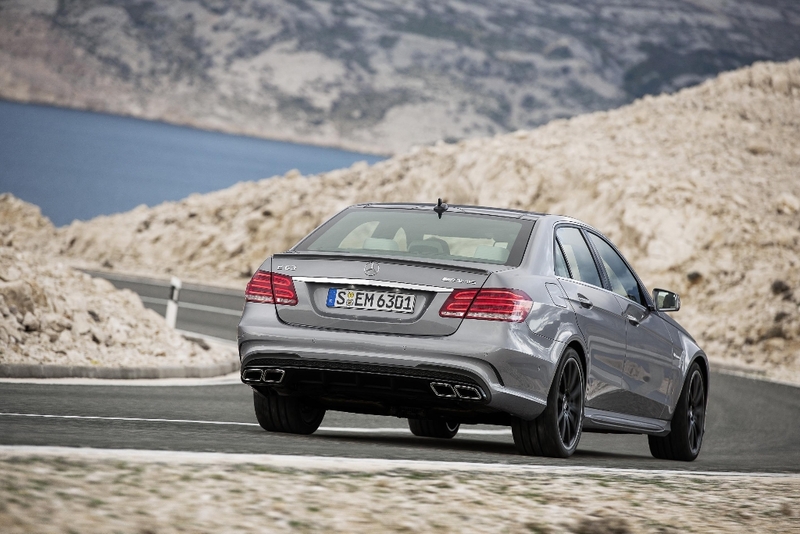 The 5.5 litre V8 powering the E63 AMG is mated to an AMG SPEEDSHIFT MCT 7-speed sports transmission. 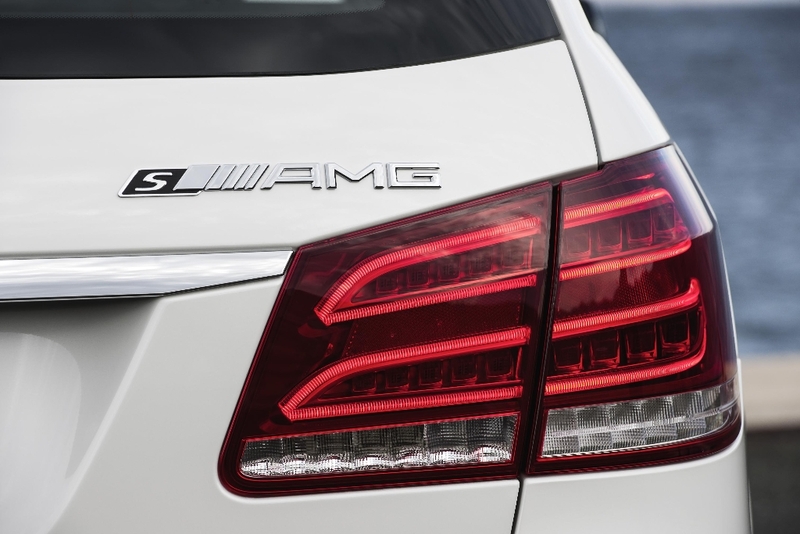 The AMG SPEEDSHIFT MCT 7-speed sports transmission has four modes “C” (Controlled Efficiency), “S” (Sport), “S+” (Sport plus) and “M” (Manual), giving the drive a number of options. 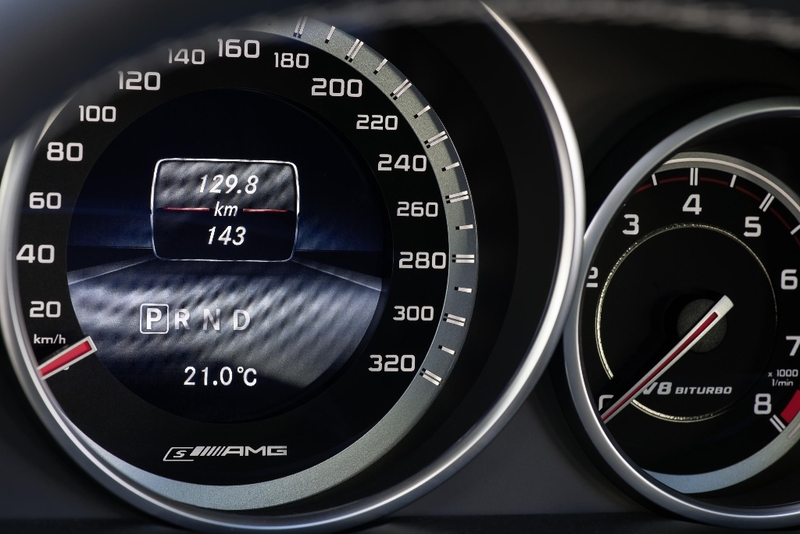 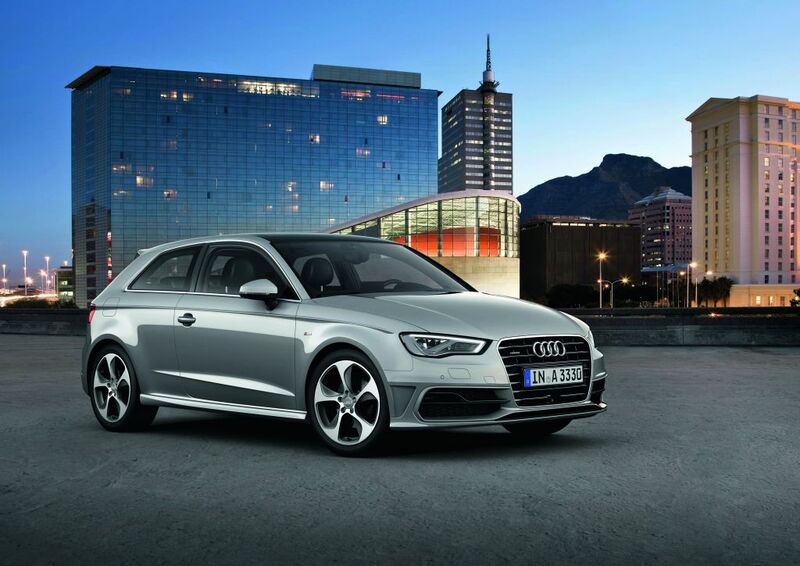 In “C” mode, the ECO start/stop function is active and switches off the eight-cylinder engine when the vehicle is at a standstill. 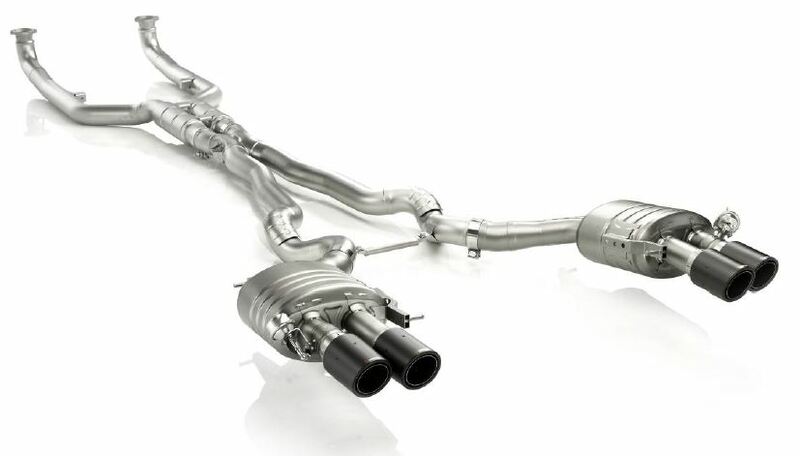 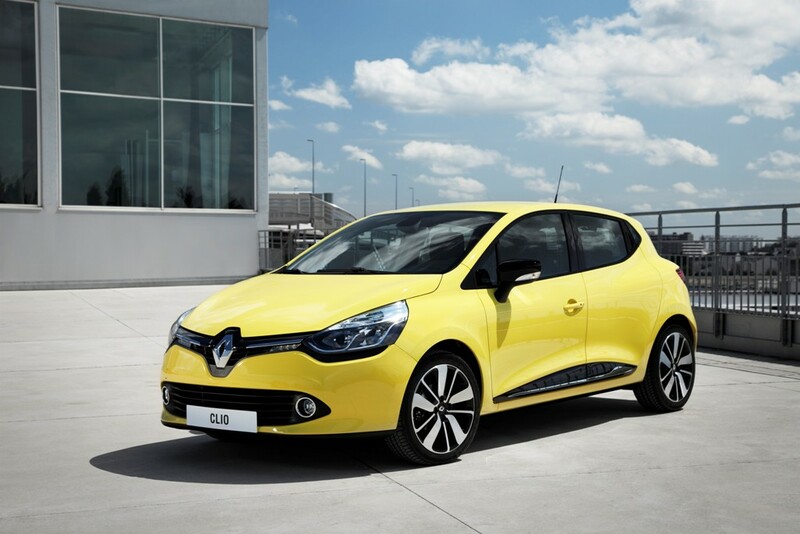 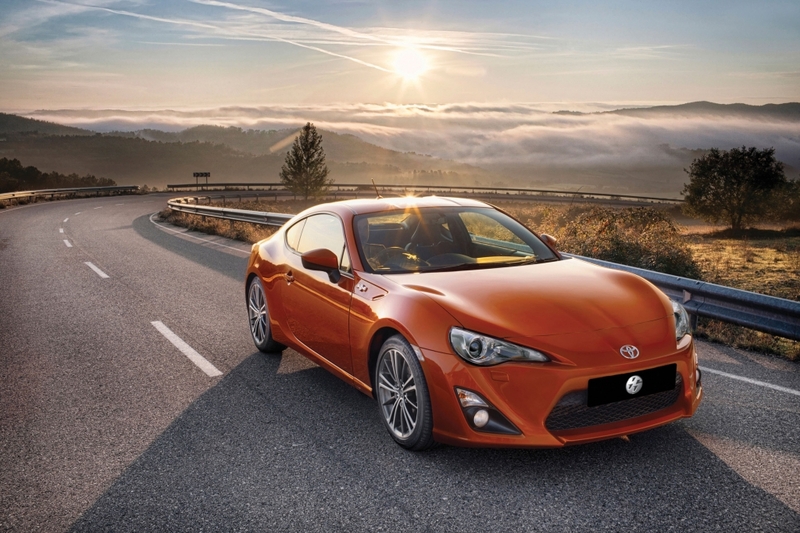 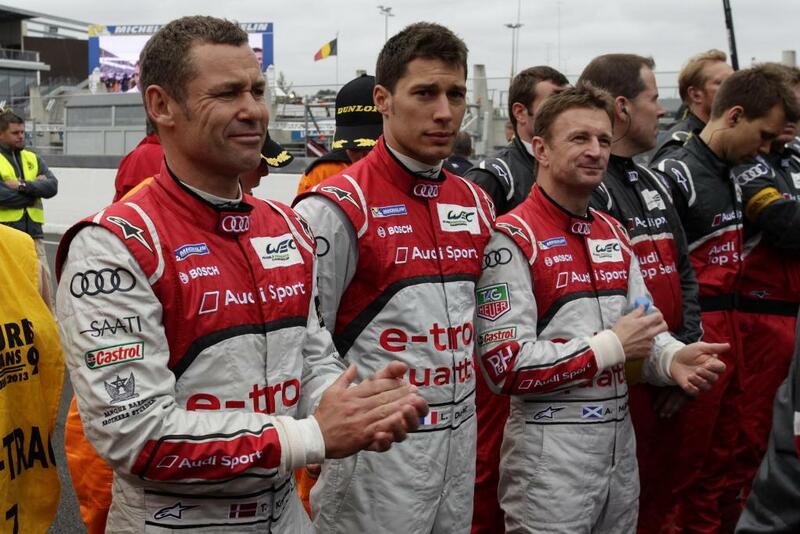 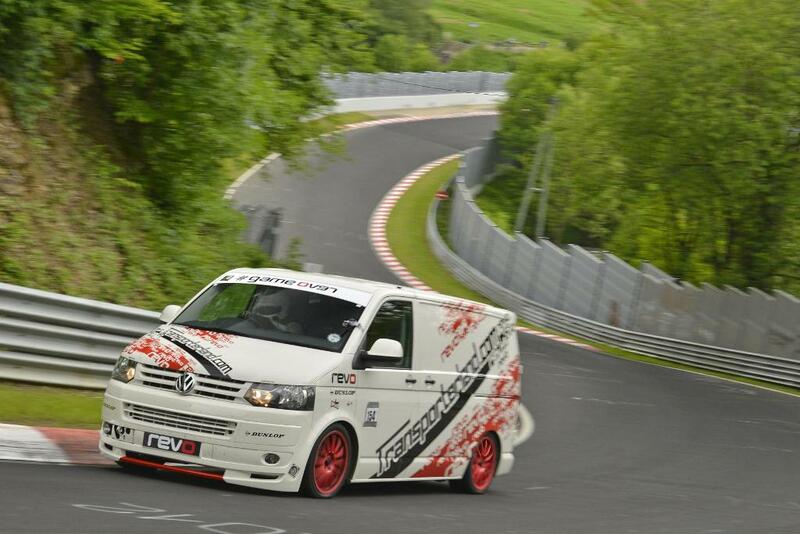 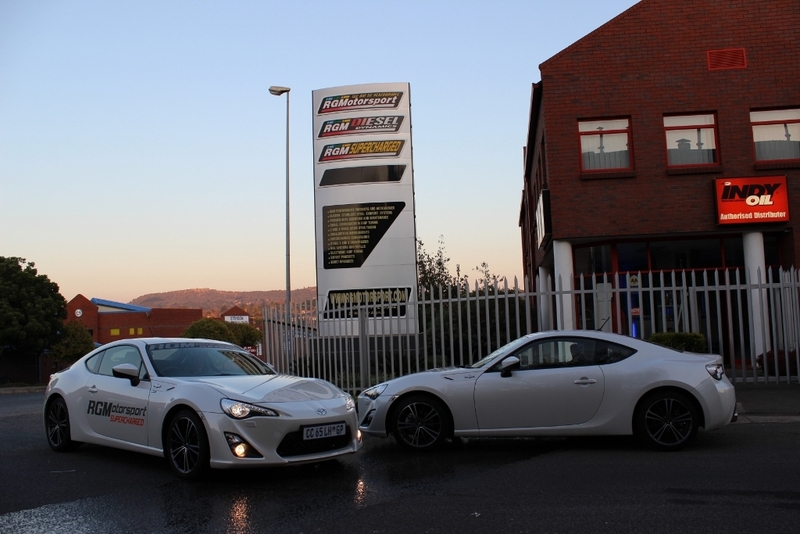 In addition, the transmission characteristics are tangibly soft, with smooth and early gear changes. 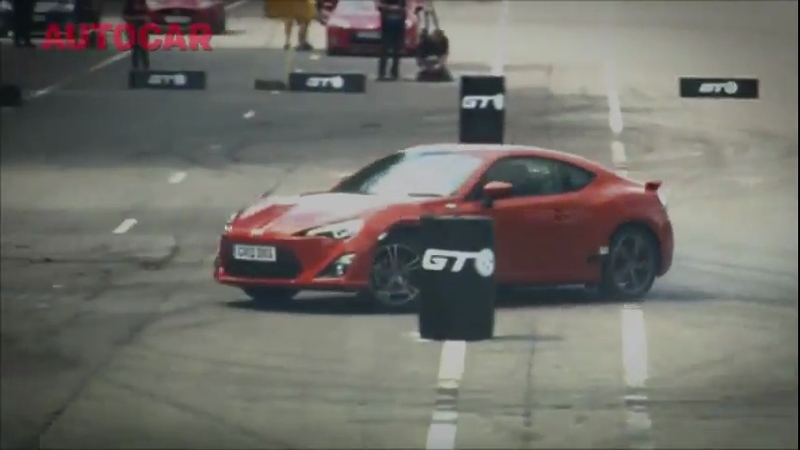 Second gear is generally used as the starting gear in this mode. 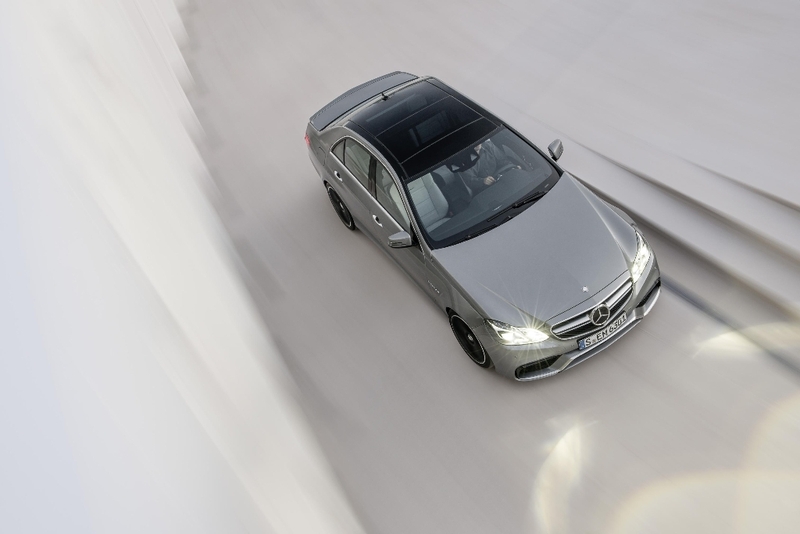 The AMG 4MATIC all-wheel drive distributes the engine torque at a ratio of 33 to 67 percent (front/rear axle). 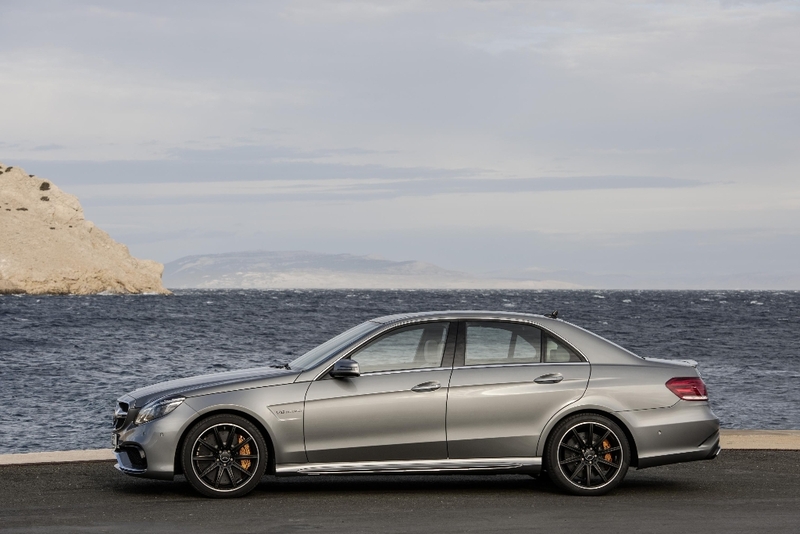 The rear-biased power distribution provides for the signature AMG high driving dynamics and superlative driving enjoyment according to Mercedes that is.